to the escape hatch! : Favorite Scene Friday! : I Am Not An Animal! Favorite Scene Friday! : I Am Not An Animal! When I was young, about 11 or 12, I stayed up late one night watching an old movie channel and came across this black and white called, "The Elephant Man". It was kind of like watching a car wreck or a freak show at a traveling carnival. I could not look away, but the longer I watched, the more my young heart hurt for the Elephant Man. 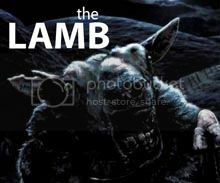 He was abused, ridiculed and paraded around like a novelty. 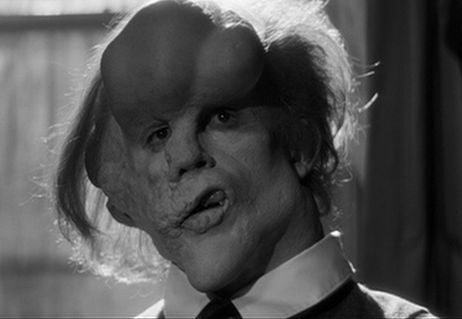 The 1980 movie, starring a young Anthony Hopkins, portrays the true story of the severely deformed Joseph Merrick, referred to as the Elephant Man. It was directed by David Lynch and the lead character, (John) Merrick is played by John Hurt. In this scene, Merrick arrives back in London after escaping from his cruel captors, only to be confronted by a small group of nasty bullies that chase him through a train station. He accidentally knocks down a little girl, which draws the attention of an angry mob who corners him. It's here where the Elephant Man yells out the famous line, "I am not an elephant! I am not an animal! I am a human being! I am a man." I hope you have a great Friday and next time you see someone that does not look like you, remember he or she is not an animal. My favorite work of David Lynch that I've seen so far. That makeup amazes even today! I agree about the make up. Soon will be approaching 25 years and it's still believable. Make some time and give it a watch. I don't think you'll be disappointed.